The trees here are just starting to bud, but there are tulips everywhere. 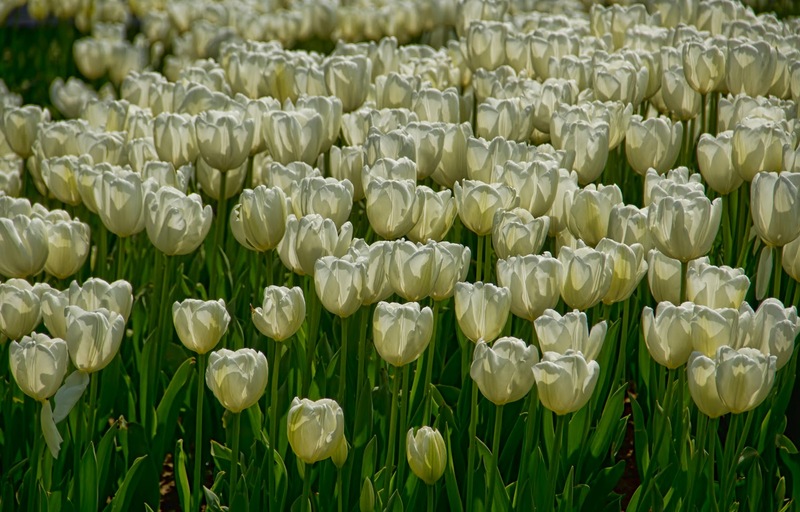 One of the early eighteenth-century sultans reintroduced the flower here (it originated on the Asian steppes) and was so fond of them that that part of Turkish history is called the Tulip Period. The bright sun made interesting shadows on these white tulips in the garden between the Blue Mosque and the Hagia Sophia.